Our minimum order is $20.94; please continue shopping! Outside the US? We don't ship internationally due to the high shipping cost. 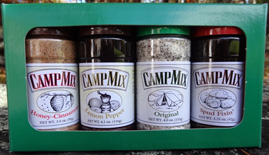 Please e-mail us directly to discuss the shipping costs if you wish to place an order for CAMP MIX.